Have you ever recognized a need to change something in your business but don’t know where to start? When your business is right at the cusp of growing beyond your control, do you wonder how to start adjusting to growth? Do you ever feel like you are constantly catching up with the rest of the business world or your customers? These are all common issues that can be solved by learning how to manage change in your business. This blog series will address some of the main ideas, solutions, tools, and strategies for adjusting to change. An overview of the upcoming series is below. We look forward to sharing it with you. How do you begin to manage change when time and resources are limited and there is no way to fully predict or control change? It can be overwhelming. We explain some of the methods, tools and perspectives that can be used to start managing change in your business in the blog “How Do You Start Changing?”. How Do Entrepreneurial Businesses Harness Change? Most businesses have limited resources that are constantly divided between running the business and growing the business. After explaining why and how change can be managed, it’s fair to ask how does my business manage change? We address that question in our blog “How Do Entrepreneurial Businesses Change?”. It’s important to provide practical methods for harnessing change. Smaller businesses are faced with different constraints than larger organizations. Templates and guidelines have been developed to help address the specific needs of smaller businesses when looking at harnessing change for their company. Our blog “Change Management Models for Entrepreneurial Businesses” provides roadmaps for how entrepreneurial business can apply change management to their businesses. The very nature of change is that it never stops. 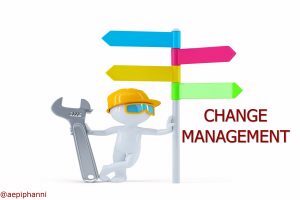 Learning how to maintain change management practices are critical. We address the concept of sustainable change management in our blog “Sustainable Change Management is Strategic”. Though it is difficult to predict the change businesses will be faced with, there are trends that can be explored to give a competitive edge to those who want to exploit them. We will discuss some of these trends in our blog “The Future of Change”. The most effective way a business can adapt to change is by having its decision makers transition from being managers to being leaders. Managers put out fires, direct, and react; a leader changes the operational foundation of a business so that the business can be ready for change when it comes. The final blog in the series, “How to Change from Manager to Leader,” defines the difference between managers and leaders. This blog will help business owners make the transition from a reactive manager to a proactive leader.